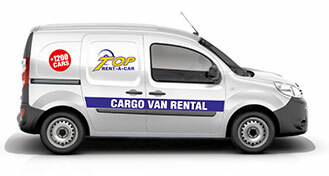 This category shows information about prices for all cargo vans. We offer diversity of cargo vans at affordable prices. All rates are in BGN and includes VAT. The mentioned rate is per day rental. 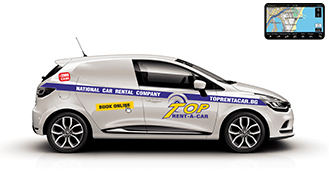 Top Rent A Car offers promotions and discounts for cargo van hire on the website, social media and newsletters as well. 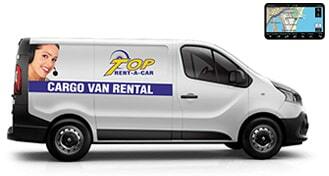 Check our website for the best offers for cargo van rental. All cargo vans have different trunk capacity according to their class. They are comfortable for urban and non-urban driving. 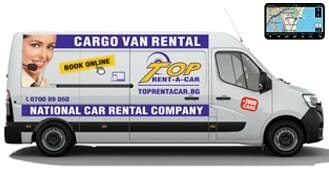 All cargo vans offered for rental from Top Rent A Car are with good maneuverability and driving comfort at very affordable prices. Add. mileage rate: 0.024 €/km. CDW - Reduces the renter's liability in case of damage of the vehicle up to the amount of the deposit (excess). CDW is valid only if a protocol from the Police Authorities is presented. TP - Reduces the renter's liability in case of damage of the vehicle up to the amount of the deposit (excess). CDW is valid only if a protocol from the Police Authorities is presented. Add. mileage rate: 0.036 €/km. Add. mileage rate: 0.048 €/km. Add. mileage rate: 0.060 €/km.